My husband, Jack was traveling the day my sister-in-law, Semmelle, and I excitedly walked into my OB’s office for my 36 week appointment. She had never been to an ultra sound before, and I was so excited to show her a sneak peak of her new nephew. I met her at my mother’s that afternoon, where relatives were still visiting after throwing me a beautiful baby shower the weekend before. My cousins and I had stayed up until late the previous night, unpacking gifts, laundering tiny clothes, and decorating the nursery while we ate chocolate cake and giggled like little girls. Caleb was the first grandchild for both Jack’s and my families. After years of fighting an extreme case of bipolar disorder and wondering if I would ever be well enough to bear my own children, we felt the world was celebrating with us as we prepared to welcome our victory child. At first, they couldn’t find the heartbeat in the exam room. I became furious with the nurse, assuming she was inept. They brought in another nurse, and she, too, could not find the heartbeat. My OBGYN was called in. We were rushed to the ultrasound room as my OBGYN shouted orders to her receptionist to call her nanny and tell her she’d be late. I didn’t realize that anything could be that wrong until I heard the ultrasound tech gasp. As I write this, years later, I still cry. I remember begging them to do an emergency c-section, kicking and screaming like a three year-old and my sister’s face covered in agony. I remember leaving with my dead baby still inside me, Semmelle driving me back to my parents’ home. I remember calling my husband’s family, knowing that Jack was somewhere in an airplane, still believing that our baby would be born and live, and knowing that I would have to be the one to tell him we were living a horror I had never even thought to imagine. Shock makes some people crazy. Shock makes me sane, and I am able to see what is necessary and what is not. I am able to function and choose. I am able to get on the phone with my husband, while he is sitting on the airplane, and tell him his first son will be born dead. I am able to do that because he needs to stay on that plane and come home to me. I laid in my parents’ bed and waited as well-meaning, shocked relatives came in one at a time to tell me they loved me and rub my belly as they had done so many times throughout my pregnancy. I laid in bed and prayed the Our Father and the Hail Mary over and over, because they were the only prayers that I could muster. I asked my mother if she thought I was unlucky. If I was cursed. I prayed Jack home to me, praying that he, too, would not be taken from me. Jack’s father greeted him at the airport and drove him to my parents’ home. He burst up the stairs to hold me in his arms, and we didn’t care who watched. We wept. We wretched. We held each other all night, knowing that would be the last night we spent alone with Caleb, the child we already loved so much. We gathered up every ounce of courage we had, and we made our way to the hospital. We had just toured the birthing center in our labor and delivery class, so we knew right where to go. Our bag had already been packed, just in case Caleb had decided to come early. For me, before having children, labor and delivery seemed like a black hole that I would enter, having no idea how I would make my way out the other side. I was afraid of the pain, afraid of the risks involved, afraid that I might die. I had never considered that my child who had been checked and rechecked thoroughly throughout my pregnancy and was certified healthy, could die. And I never dreamed what it could be like to face all of the fears of my first childbirth, knowing that I would have to endure it all only to leave the hospital without my child. It was a day. An entire, 24-hour-long day. I was heavily drugged, as I had requested, with an epidural that left me entirely numb and very groggy. I spent the day with loved ones hovering over me when I opened my eyes, and kneeling next to Mary at the foot of Jesus’ cross every time I closed my eyes. In both realities, I was in extreme pain, but with my eyes closed I was in the company of Jesus’ Mother. As He suffered, she suffered, and they both held me in my suffering. That day, as I lay in that hospital bed, I felt the most intense love being poured out upon me, into me by pure mother love. In her suffering, she begat love for me, born of physical and spiritual travail. It entered my laboring heart and flooded my chest cavity. This love rested upon me for weeks, as I bore the physical pains of just giving birth without the joy of my baby to help me forget them. Caleb Joshua was born at 6:27 pm on Wednesday, March 19th, in the middle of Holy Week. Time stretched in front of me like never before. There would be too many tomorrows without him, so now was the only time to not fall asleep with exhaustion or miss one small dimple. Now was the time to make up for a lifetime of loves and hugs, kisses, baths, and songs. Those few hours would be the only ones I would ever spend with my son’s physical form, and I knew that it would most likely be a very long time until we would again be face to face. He was baptized by our beloved Father Ed and Deacon Bill. I bathed him, undaunted by his already decomposing form, and dressed him in his going home outfit. We took many pictures, but not enough. We held him, our parents held him, and we held him again. Time stood for me. And then, I looked at Caleb’s eyes and they were crying blood. We knew it was time and I handed him to the nurse. They wheeled me out that night only because I refused to stay the night in a hospital without my baby. I howled from my room to the car, where Jack laid in the back seat next to me until I passed out from exhaustion. I woke up early the next morning in the guest bedroom at my parents’ house. I woke up without Caleb and started to wretch again. My sobs woke Jack up, and the two of us laid in bed and cried ourselves back to sleep. We did everything we could for our son in the days following his silent birth. I went to the funeral home and picked out his casket, his burial plot. I went to the children’s boutique and bought him his final outfit. When the sales lady asked if it was a going home outfit, I doubled over in sobs. My mother then went ahead of me into every store we entered and told them what was going on and to please leave me alone. I bought myself a hot pink dress to wear to his funeral, and his father a bright orange tie. It was Easter week and we refused to wear black. The Tuesday after Easter, surrounded by loved ones all dressed in their best Easter clothes, we laid Caleb to rest. Our siblings, his aunts and uncles, carried his casket down the middle aisle of our church while Jack and I walked hand-in-hand behind them. We celebrated his life, as well as the unending life he was already living in heaven. We have spent the time since Caleb’s death trying to move on. We have had two more beautiful sons and live as joyfully as we are able. But the love for our firstborn son never fades, and my yearning for him has created a deep hole in my heart that is only satiated by my relationship with Jesus. Certainly, the shock and the intense pain have subsided. What is left is an ache, deep and unyielding, gnawing in the background of a beautiful life. I still hang his stocking at Christmas, and his birth certificate will forever be displayed in our hallway upstairs with the tiny prints of his perfect feet. We celebrate his birthday every year by going on a “Caleb adventure,” with his brothers. We look forward to heaven more than ever before, but know our little Lebanite Warrior is in Good Hands, exploring the Promised Land, until we meet again. Taylor is from Seattle, Washington and mother to Caleb (stillborn 2008), Abraham (5), and Samuel (2), and happily married to her husband, Jack, of 14 years. She tackles mental illness, surviving stillbirth, and caring for her heart warrior, Samuel, in her weekly blogs at www.redvinespirituality.com. Found you via Table for seven. Thank you for sharing such a precious but deeply sad time in your life. I’m sure your words will touch and comfort many mothers. I have had a miscarriage and had to have IVF to have my other the 2 kids. I can’t imagine going through this. I am not sure how I would make it. I am so sorry for this pain that you are living with. Amazing Truth! Thank you so much for sharing your similar grief and for visiting Made to Mother today! 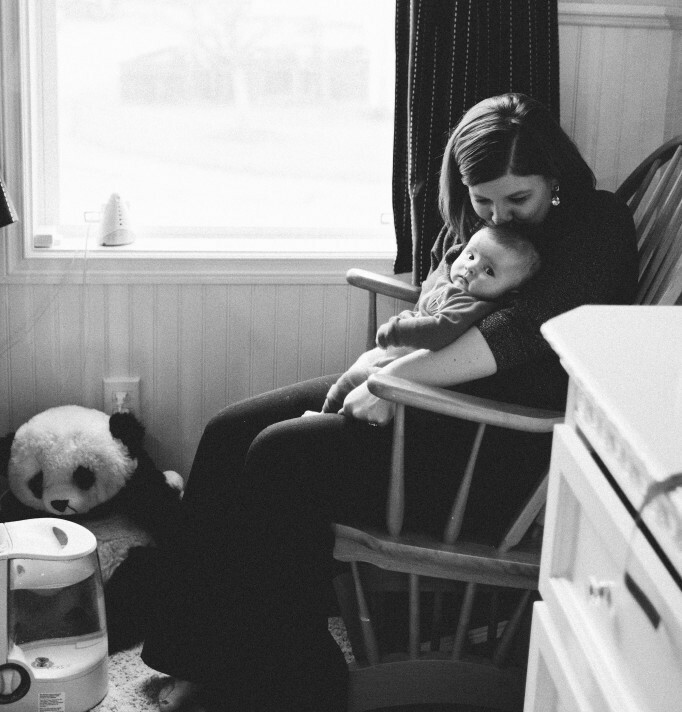 If you ever want to tell your story of motherhood and/or loss, I would love to share it here! Contact me at wynterkaiser@gmail.com Blessings! I am crying with you as I read this. Thank you for having the courage to share your story. By choosing to turn to the Father of all comforts in your darkest need, He is being glorified through your son’s life and God is using your pain for good. May God continue to bless you and your family! Wow, what courage you have to share your story here with us. Jesus is a keeper, and I know you are still standing because of His grace – which certainly is sufficient. May God continue to bless you, and saturate you with His love and peace. Thank you for sharing this. A very touching story of strength. My daughter lost their first child a boy, and the grief is unbearable, but God gave them a daughter and peace that their son is with Jesus. Oh, this made my heart break. Thank you for sharing your story. Thank you for being so transparent and sharing your story! It has truly touched my heart this evening. Praying for continued peace for you and your family. Such a poignant story. I’m so glad you & your husband were able to find strength & hope. Thanks for sharing this. Blessings! I wept as I read this. I am so sorry for your loss. May Jesus continue to fill you, to sustain you, to give you strength and healing. Sending lots of love to you – you wrote this very beautifully. I love your idea of a Caleb adventure. Although nothing like your experience, I miscarried our first baby and, although I have since had an amazing baby boy through IVF and hope still for another, I still think of our first little bub and hold them in my heart. We do something special on the day they would have been born every year – it is important to me to remember them and that they were a little soul in the world, even for a short time. I can’t even imagine how difficult that must have been, but I like how you look for the positive and rely on God’s comfort throughout! That’s hard – so hard. We lost our little girl at 24 months. At my dr visit – there was no heart-beat. Our little Gracie is in heaven – I cannot wait to wrap my arms around her in a hug! God takes care of us in those big hurts – doesn’t He – and He doesn’t mind if we cry to the toes of our souls. He knows we need to sometimes.One day, you and I, will have a grand homecoming! Thank you so much for telling your story. I was especially touched by the way Mary was present to you in your labor, I’ve felt Mary’s presence as a mother too. It’s a pure and holy gift that you would let us view this part of your story. Your heart laid bare. I have no doubt your words, though painful, will be a place of healing, too, for others who have felt alone. Your Caleb, then, is changing us all. Thank you. What a heart-wrenching story. I thank God for blessing your life with two more sons to tumble and frolic with in these brief moments that we have them. May Jesus continue to fill you with His all-satisfying love. I have a friend who has a similar story to tell. You might want to check her blog out at: brokenheartsredeemed.blogspot.com/ I’m sure the two of you will have a lot to share. I’m so terribly, terribly sorry for your loss. Thank you for sharing your story. I had tears reading every word of this. I could not imagine the pain. I know the pain will never go away but I am glad that some has lifted enough to share this story. I know he is looking down on you loving and caring for you. Knowing he was loved. It’s something you never want anyone to go through and I’m so sorry you had to experience this. My heart breaks while reading this. I know it wasn’t easy sharing but I hope one day, you will see your baby boy again in heaven. Oh my goodness. What a gut-wrenching, awe-inspiring story. This really touched me and I can’t even imagine experiencing what you went through. God Bless you and your family. God holds you in His hands with the comfort of knowing you and Caleb will be reunited again. Beautifully written. Thank you for sharing this touching story at Bacon Time. Your story makes my heart ache and gives me hope all at the same time. I’m 27 weeks pregnant with our second child, Lily. At our routine ultrasound we learned she has a neural tubal defect called Anencephaly. If she survives birth, she is not expected to live more than a few hours. I have often wondered if it’s a blessing or a curse to know in advance your child is going to die. Honestly, I pray you or myself will never know the answer to that question. I can relate so much to your experience and I haven’t been through it yet (due in October). Even with five months “to prepare”, I still can’t imagine going through what we are about to go through. When I think about labor and childbirth, I know we can do it. It’s when I think about the moment I will have to hand my daughter over that I get choked up and I can’t breathe. Your story gives me hope that as hard and awful a situation, we can survive it. And hopefully, be a stronger couple and I will hopefully be a better mother. Many prayers for you and your family…I already know this is something you never “get over”. I am utterly speechless after reading this. You amaze me! Thank you for having the courage to share your true God given story. I am so thankful to have met you and your family. I knew the first time I met you and your husband God would use your family the power of prayer. Having Samuel in my class is the best thing for me. I absolutely admire your family. You are an inspiration to me and everyone that meets you. Thank you! Thank you for sharing your story. My son was stillborn at 36 weeks one month ago. I am really struggling in many ways, my faith and spirituality being one. I admire your faith and hope I can get back there.